Adds the ability to replace the materials with same name in the library when pasting. For this version requires a new license key. Generate the identification file and send request for update on the ‘My Account’ page. 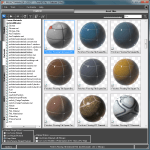 Run the 3ds Max with administrative privileges. In the 3ds max menu “Maxscript”>> “Run Script” choose the .mzp file for start installation. Run the plugin and choose item “Activation” in menu “Help”. Be careful – before applying of the license key you must install the version 2. Instructions for fresh installation see here. The new version will make the most of opportunities of .NET FrameWork and modern versions of Windows. Windows XP will not be supported. Upgrade to new version will be free. Now your can buy Project Manager only for $75. 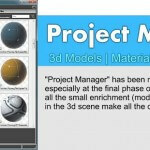 Related to "Project Manager version 2 is released!" Could you please explain better “ability to replace the materials with same name in the library when pasting”. I`m not sure I understood it, since this new feature in not in the video. I have downloaded the demo of Project Manager. The main thing I want to do is see previews of my scenes (,max) files so that I know what changes I made to the models. The rendered preview only seems to be 100 pixels square. This is a limitation for the Demo. Some files rendered with resolution 100×100 px.